Rotating nozzles use centrifugal force to produce a strong impact and a spray pattern. Due to the reliability and effectiveness rotary turbo nozzles have been widely accepted. The nozzle rotates a powerful, zero degree spray pattern in a circular motion to break down tough dirt and grime. By spinning the discharge water, the spray adds additional scrubbing ability to the cleaning process. 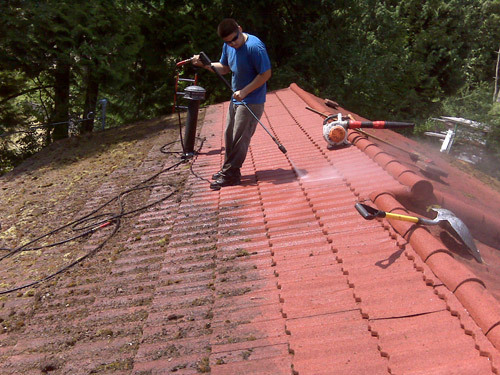 With a rotating nozzle, you can clean the following types of applications; rust removal, metal or plastic tank cleaning, paint removal and graffiti removal, wall paint stripping, washing concrete, eliminating gum from sidewalks, boat cleaning and barnacle removal, asbestos abatement, cleaning crab and lobster pots, fish nets, cleaning dirty garage floors, stripping paint from wood exterior, and removing mud and clay from highway and construction equipment. The spray pattern will cover area of 4 to 8 inches wide, depending on a distance between the wand and the surface being cleaned. 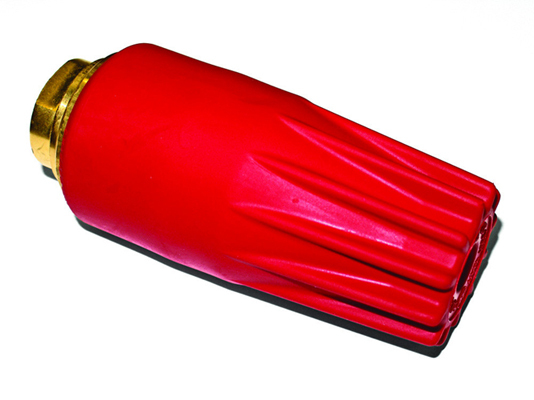 Turbo nozzles have been one of the most important accessories developed. These efficient tools provide the power of a zero-degree pattern. 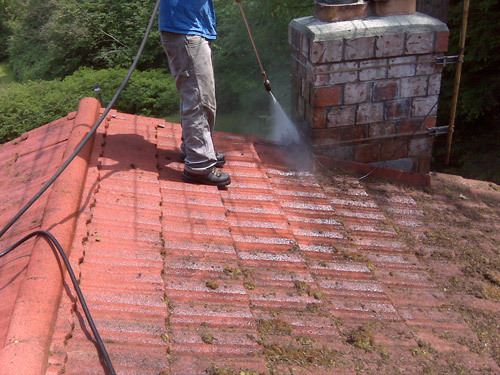 The circular motion also adds extra agitation to cleaning tough jobs like caked-on mud. They are designed to provide a 200% cleaning efficiency over a 25-degree flat fan nozzle. The precision ceramic orifice and matching seat, along with the high strength forged brass housing; provide a long life accessory with no gears, teeth, or bearings. When the nozzle or seat wears, you can replace parts easily to extend the life even longer. Select the proper nozzle for each type of spray application. Multiplies ordinary pressure into powerful scrubbing power using a jet stream of rotating water. Brass spray nozzles are very resistant to abrasion. These Brass nozzles are encased in plastic which serves as a protective shield to prevent shattering or breakage. NOTE: ALWAYS start spraying with rotary nozzle facing downward to prevent damage to the brass nozzle. It is highly recommended a high pressure filter be attached to the inlet of the rotating nozzle. This will help prevent debris from your water supply from entering the nozzle and destroying the internal components, thus increasing the life of your nozzle. These ceramic spray nozzles are made with high quality components for extended life. Each nozzle is encased in a hard, rubber coating for additional protection and a brass inline filter to protect the nozzle from any debris in the water. Available in 3000 and 4000 PSI. Great for business and home owners alike! Ceramic spray nozzles are very resistant to abrasion. 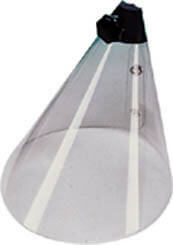 These ceramic nozzles are encased in plastic which serves as a protective shield to prevent shattering or breakage. Sharp Pencil Jet Super Large Turbo Nozzle is designed for heavy-duty jobs. It is intended to be used with any pressure washer models producing 5000 PSI and up to 4.5 GPM. This rotating ceramic nozzle creates a powerful 0&deg; spray in a 25&deg; cone spray for expedited cleaning; cutting work time by 50%. This heavy duty nozzle is made to last 3 times longer than the competition! This 6000 PSI also has a repair kit to replace the internals of the nozzle on sight and in the field. Stainless steel rotary nozzles are the most resistant tips against wear and corrosion. They are to be used with super heavy duty pressure washers whose pressure reaches as much as 7300 PSI. This clear plastic shield mounts on your lance to prevent splash back when spraying. Unit clamps onto lance and can be used with spray nozzle or rotary turbo nozzles. NOTE: All rotating nozzles MUST be started with the wand pointing to the ground. Eye protection must be worn while using them. There are many types of nozzles available to provide differences in throughput, spray angle, and pattern. Spray nozzles are made from a variety of materials including brass, aluminum, stainless steel, hardened stainless steel, ceramic, and nylon. Brass nozzle tips are common because they are relatively inexpensive but they wear rapidly when used to apply abrasive materials such as wettable powders. They are also susceptible to corrosion by some liquid fertilizers. Aluminum tips are resistant to moderately abrasive materials. Nylon or plastic tips are sometimes more resistant to wear than metal tips because molded tips have a smoother finish. The surface of a metal tip (especially brass and aluminum tips) has microscopic grooves as a result of machining and drilling the orifice. This rough finish presumably causes turbulence and enhances the abrasive action of particles suspended in a spray liquid. There are, however, disadvantages to nylon or plastic nozzles. The threads of some nozzle bodies and caps may be easily damaged by constant use, especially if they are over-tightened. They are also subject to swelling when exposed to some solvents. 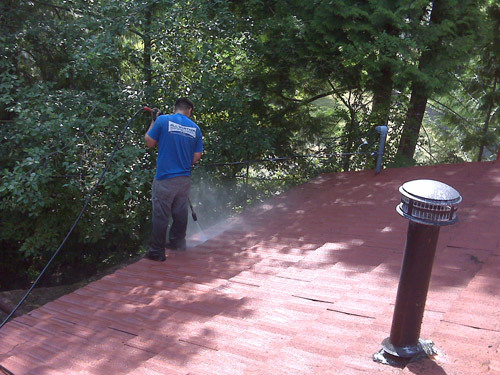 Read about paint removal with a pressure washer. 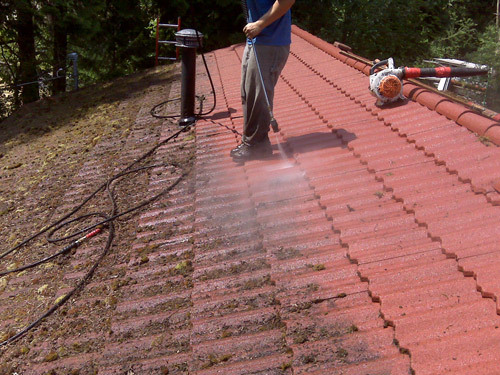 Each nozzle should be used based on the application and surface being cleaned. 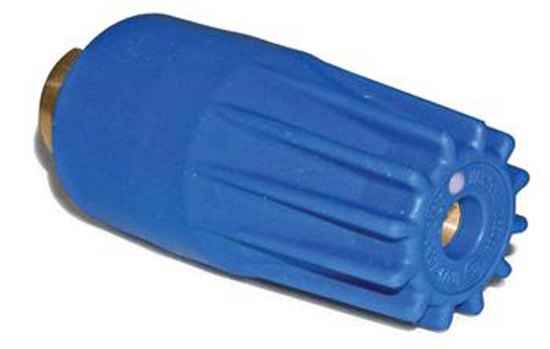 All nozzles have a 1/4" quick connect plug that easily connects to the end of the wand. Light-weight with a large cleaning area. Use this nozzle to increase the impact of your pressure washer on your cleaning job. Uses a 0 degree nozzle and rotates it in a 15 degree pattern.